The cute embroidery projects put a fresh spin on the trends! However, who does not love cute embroidery designs? Of course, everyone does! Lucky for you, if you own an embroidery machine and no worries if you do not! There are a lot of companies who are offering you quality embroidery services. They can create these adorable embellishments for you. However, graphic designs that needed to be embroidered on any type of clothing, the embroidery design needs to be digitized for it so that it will be able to work smoothly on the embroidery machines. Though, if you need digitized designs for embroidery purpose then for that you are going to need a digitized file which can later be converted into cute embroidery. DigitEMB offers tremendous quality digitizing services that provide topmost quality products with the quickest turnaround and with reasonable rates. However, the best thing about embroidery is that you are able to completely customize a project with not a single restriction from the silhouette to the fabric to the embellishment you can do it all. Therefore, we use the best and professional embroidery software to create the best possible cute embroidery designs for you. Whenever you hear the word cute the first thing that pops up in your mind is a baby, isn’t it? Our baby embroidery designs are the cutest! These are just perfect for bibs, clothes, and quilts. 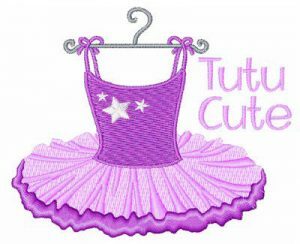 No matter what, cute embroidery design’s are everyone’s favorite age is just a number when we’re talking about cuteness. If you’re a lover of animals then you should definitely check out our range of cute animal’s embroidery designs. You’re surely going to get attracted towards them. We offer tremendous quality embroidery digitizing services with the fastest turnaround and with reasonable rates. The satisfaction of our customer is our topmost priority.